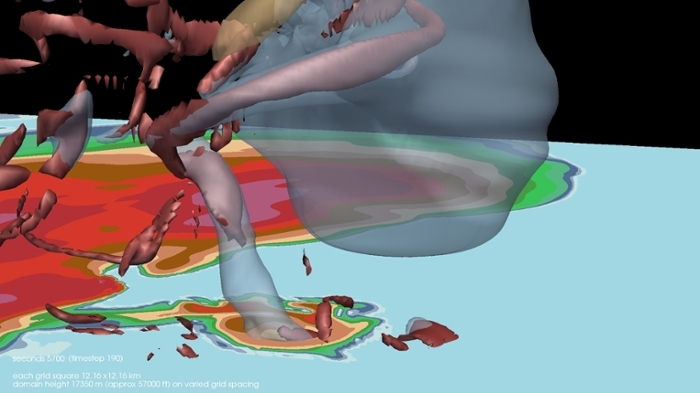 How meteorology, scientific visualization, and data mining join with XSEDE resources to help us understand tornado formation. Better tornado prediction is the target for multi-domain team. XSEDE resources handle datasets and visualization to see tornado precursors. Data-intensive visualizations provide realistic view of tornado activity. A dark, greenish sky, a loud roar, low-lying clouds. Watch out — you might be in the path of a tornado! To improve our ability to predict tornadoes, computer scientists are hard at work. Amy McGovern, a computer scientist at the University of Oklahoma (OU), for instance, has been studying tornadoes for eight years. "Since 2008, we've been trying to understand the formation of tornadoes, what causes tornadoes, and why some storms generate tornadoes and other storms don't," McGovern says. Specifically, she is trying to identify precursors of tornadoes in supercells by generating high resolution simulations of these thunderstorms. Supercell storms are responsible for nearly all of the significant tornadoes produced in the US and for most of the hailstorms larger than golf ball size. In addition to simulations, McGovern is also using a combination of data mining and visualization techniques to explore the factors that differentiate tornado formation from tornado failure. "What we get with the simulations are the fundamental variables like pressure, temperature and wind for a lot of storms, some of which will generate tornadoes and some that won't," McGovern says. "The idea is to do data mining and visualization to figure out what the difference is between the two." McGovern's research is related to the National Oceanic and Atmospheric Administration's (NOAA) Warn-on-Forecast program, tasked to increase tornado, severe thunderstorm, and flash flood warning lead times to reduce loss of life, injury, and damage to the economy. NOAA believes the current yearly-averaged tornado lead times are reaching a plateau, and a new approach is needed. According to the National Weather Service, on average, nearly three out of every four tornado alerts are false alarms, and the lead time is about 15 minutes on average for every tornado. 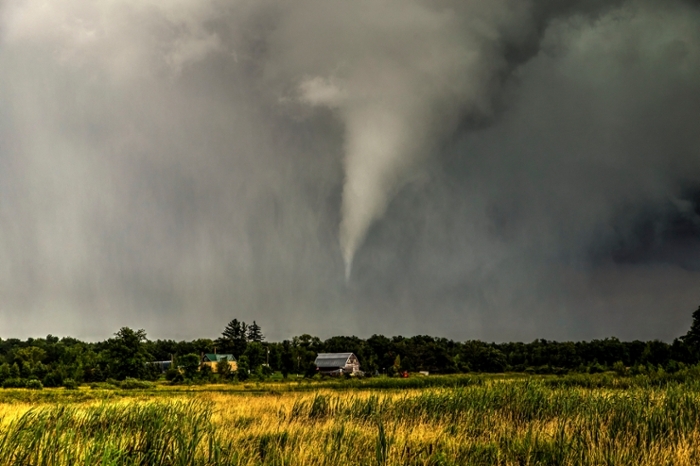 McGovern’s team is trying to reduce the false alarm rate for tornado prediction and increase warning lead time by issuing warnings based on probabilities from the weather forecast rather than issuing warnings based on weather that is about to form. To get a handle on the meterology involved, McGovern enlisted the aid of Corey Potvin, a research scientist with the OU Cooperative Institute for Mesoscale Meteorological Studies and the NOAA National Severe Storms Laboratory. "I knew nothing about data mining until I started working with Amy on this project,” he says. "I've enjoyed learning about the data mining techniques from Amy, and in turn teaching her about current understanding of tornadogenesis. It's a fun and rewarding process. Both topics are so deep that you really need experts in both fields to tackle this problem successfully." One of the few people using HPC and data mining for severe weather, McGovern’s computational expertise has come from hours on XSEDE resources. She started out at using Darter at the National Institute for Computational Sciences (NICS) before moving to Stampede at the Texas Advanced Computing Center (TACC). 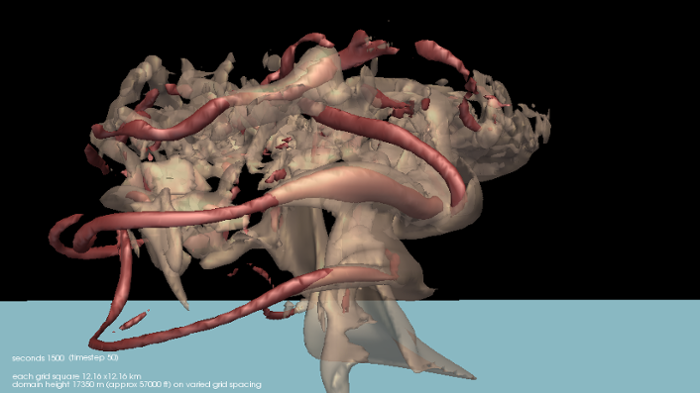 In addition to using Stampede for high resolution simulations, McGovern is taking advantage of the Extended Collaborative Service and Support (ECSS) program piloted by the Extreme Science and Engineering Discovery Environment (XSEDE). 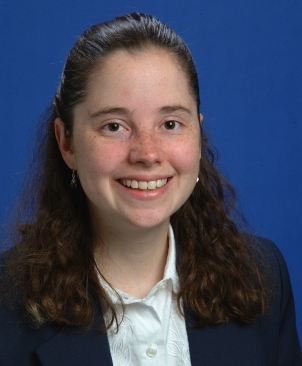 Through ECSS, she has been working with Greg Foss at TACC for visualization expertise. "Greg comes at the problem from a completely different perspective, and provides new ways of looking at the data that you wouldn't have thought of in the beginning," McGovern noted. "Once you get into a domain, it's easy to think, 'This is the only way to look at it,' but then someone else comes along and asks, 'Why are you doing it like that?'" Foss, McGovern, and Potvin are working together to find storm features in the tornado simulations. Data mining (discovering patterns or new knowledge in very large data sets). Weather simulations must capture as much of the state of the atmosphere at each time step as possible, and this results in a tremendous amount of data. For example, in one of their first simulated datasets, McGovern had to sort through 352 million data points per time step. The goal is to compare these simulated storms with real storms. In real weather, you can't see an updraft, for example. The simulated datasets turn the tornado or storm into what would be actual objects. "Greg's visualizations are of much higher quality than what meteorologists typically use," Potvin says. "The four-dimensionality and high resolution provide a much fuller perspective on how storms and tornadoes evolve. I've been studying these storms for over a decade, and these visualizations have changed the way I think about them." Together, this XSEDE ECSS team uses 3D visualization techniques and an interactive user interface to investigate computationally intensive datasets and identifying tornadogenesis precursors in supercell thunderstorm simulations. They found that the results will assist in defining storm features extracted and input to the data mining: ensuring automatically extracted objects match visually identified ones. "Weather is a real world application where we can really make a difference to people. We strongly believe that using data science methods will enable us to discover new knowledge about the formation of tornadoes," McGovern concludes.